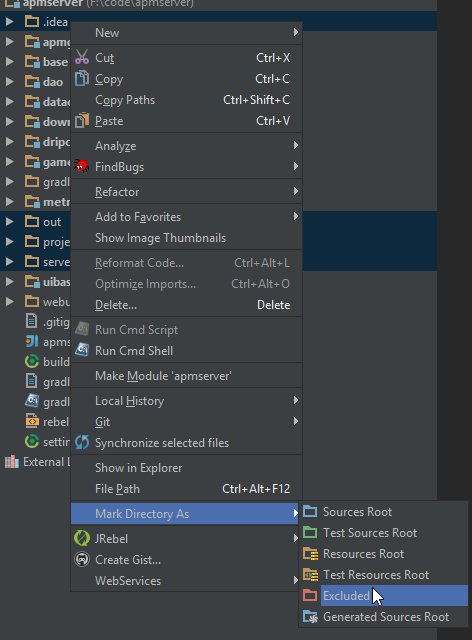 Intellij IDEA likes to create a bunch of directories for its own use. Since they are inside the project folder, they will clutter your ‘Project’ view in the IDE. The official way to deal with these in Intellij is to select them and mark them as 'Excluded’ so Intellij wont look at them and they wont clutter your views. However, if you have a Gradle project, Intellij ignores its own settings and those directories will magically reappear when you hit 'Refresh’ in the Gradle view or reload your project.